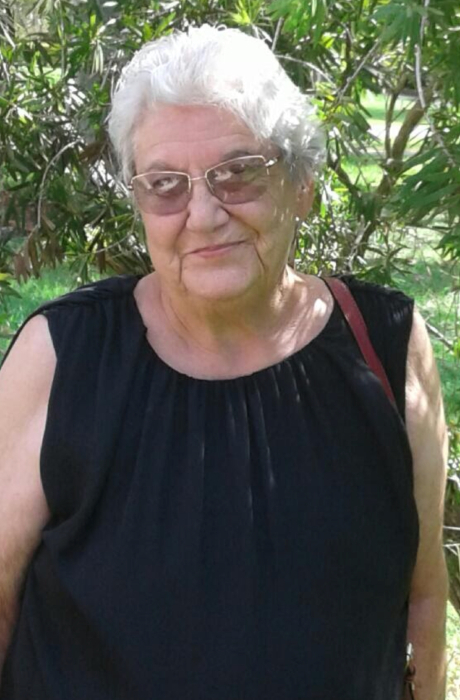 LaVerne Mae Taglione, 80 of Clarksburg passed away on Friday November 16, 2018 at her residence. She was born June 12, 1938 in Youngstown, OH, daughter of the late Edward and Mary Lavolpa Glover. She worked as a CNA for many years. LaVerne enjoyed gardening and her plants. She loved her cats and family and was Catholic by faith. She is survived by three children, Theresa Marie Taglione-Stroh, Lake Worth, FL, Laura J Taglione, Tamarac, FL; Joseph Edgar Taglione of Clarksburg; three grandchildren, Jessica Stroh, Lauren Ritter, and Ricky Smart; one great granddaughter, Jasmine Stroh; one brother, Edgar Glover, Stuart, FL. In addition to her parents, she was preceded in death by her daughter, Catherine Ann Taglione. Affordable Funeral and Cremation in Nutter Fort, WV handled the arrangements for the Taglione family. Online condolences can be made at www.affordablefuneralandcremationcenter.com.